Featured in the Wall Street Journal and on WNYC New York Public Radio. Hanging at some of your favorite Brooklyn haunts: Sunshine Company, Wheated, Die Stammkneipe/Der Scwartze Kölner. Now at The Wayland in Alphabet City, Manhattan and Karvers Grille in Holbrook, NY. 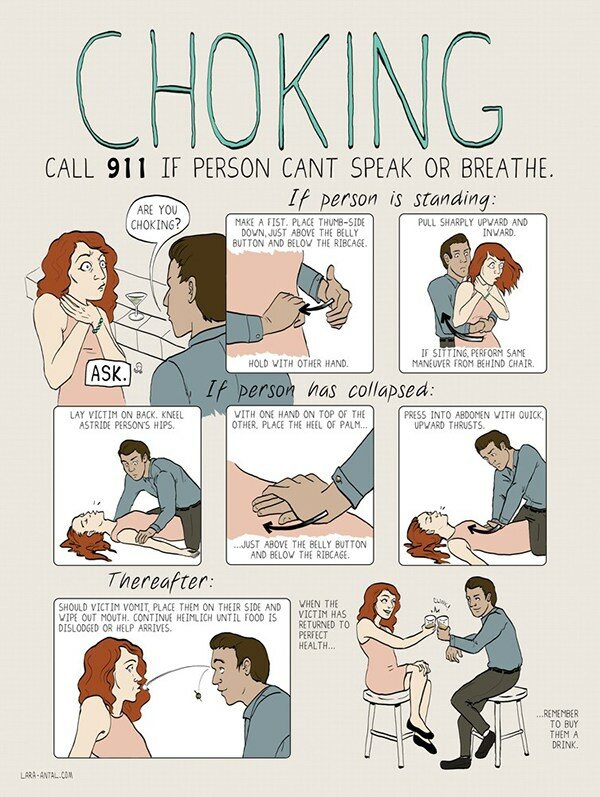 Commissioned by Sunshine Co. BK to create a fun version of the required NYC Choking Victim poster. Illustrates Heimlich Maneuver whether victim is standing or lying down. Featured in the Wall Street Journal, Sideshow Podcast for WNYC Public Radio, Paris Review, Juxtapoz Magazine (online), and Bloomsburg Business Week.